Preferred prides itself on superceding its customers expectations. 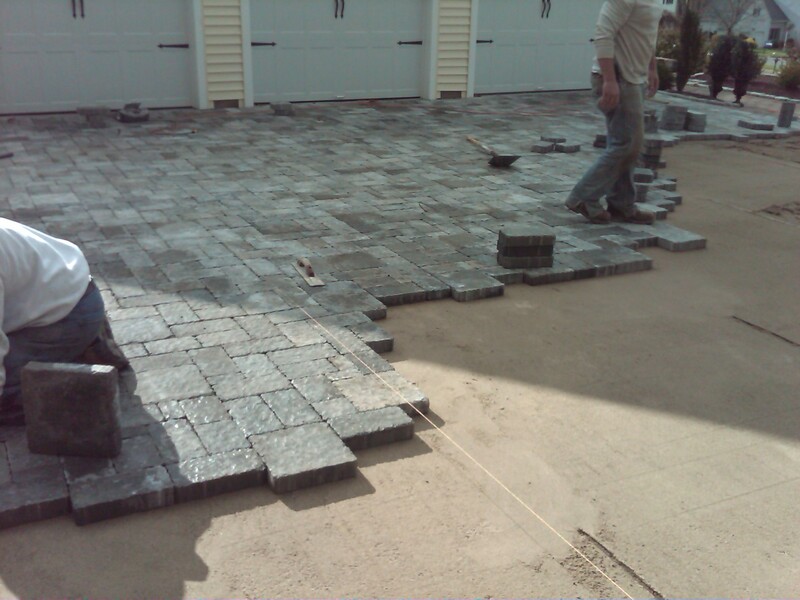 Preferred Properties Landscaping and masonry has the expertise to understand the installation procedure of pavers when areas arent condusive to asphalt. 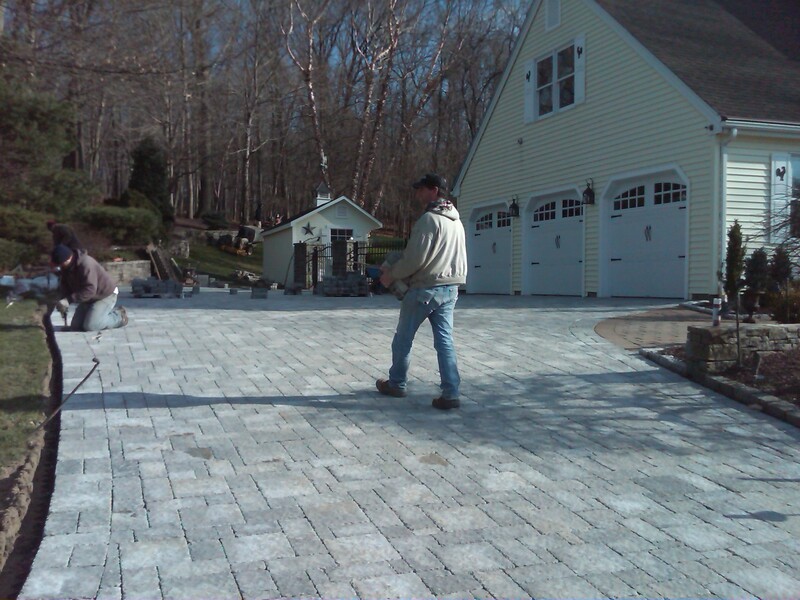 Preferred Properties Landscaping installed this paver driveway after taking up the asphalt driveway that failed after just three years. A typical asphalt drive is rolled bituminous on a compacted process base. In this scenario hydraulic pressure and water seepage ran down from the embankment and undermined the asphalt base. 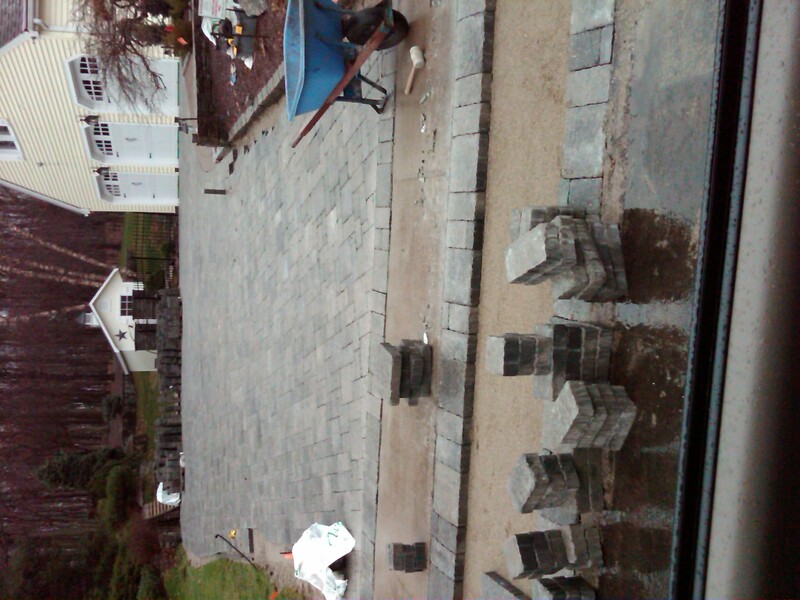 This paver driveway was installed ontop of a 1 1/4″ crushed stone base and geo grid fabric under layment to keep the soil from contaminating the process base. 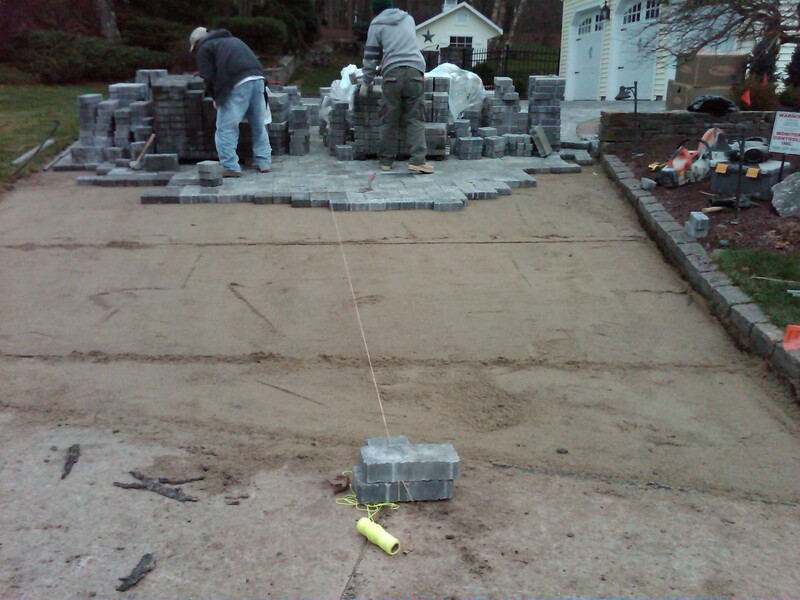 After careful consideration of the water issue and lots of stone, the upper base begins to be put into place. Many people always question the dollar or two more per square foot more that is charged above our competition? The answer is in the base. 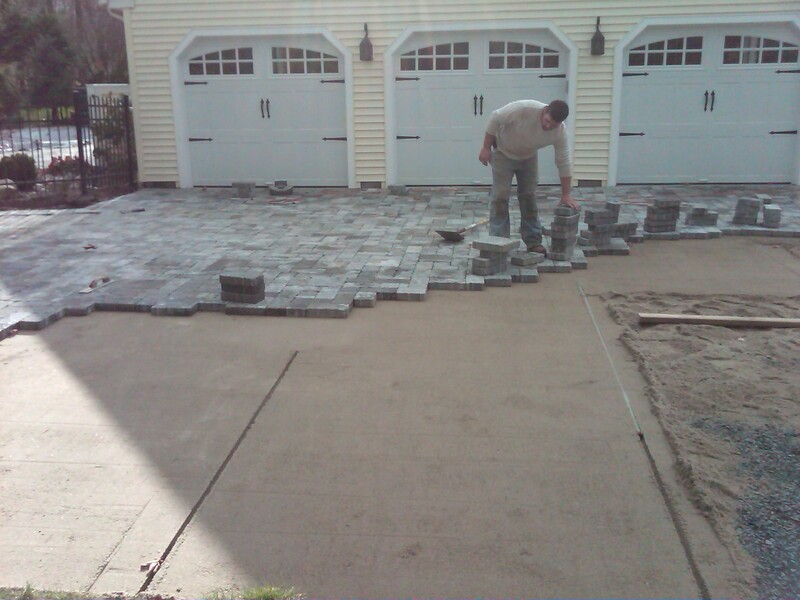 As you can see not only is pitch but roll off is critical in paver installation. 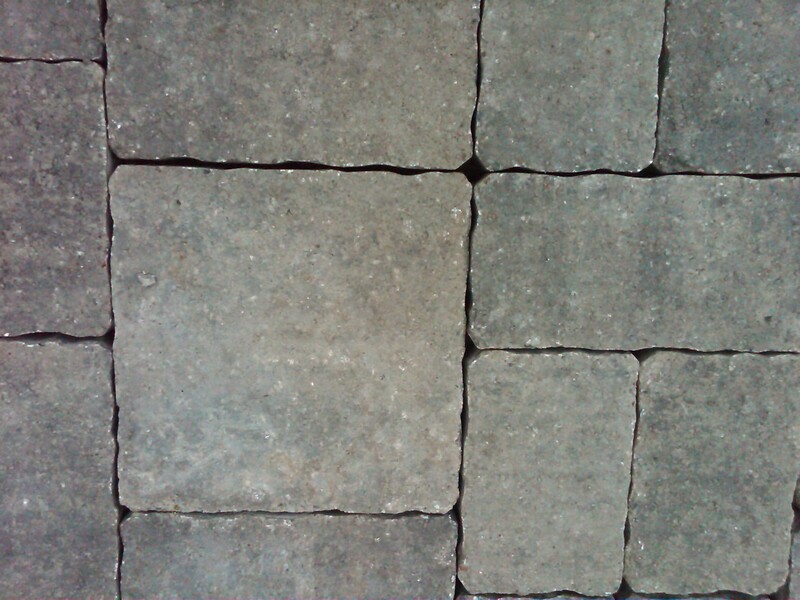 Picking the right paver for the type of application makes all the difference in the world. The real world tumbled look is great in the event you have the space for such a great pattern. 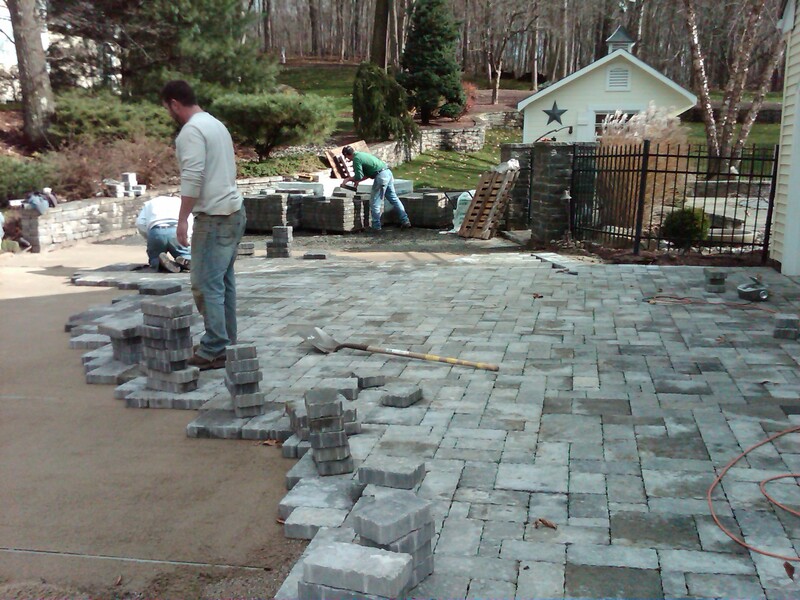 Consultation with professionals such as Preferred Properties Landscaping and masonry will help you distinguish the advantages that each paver type present. 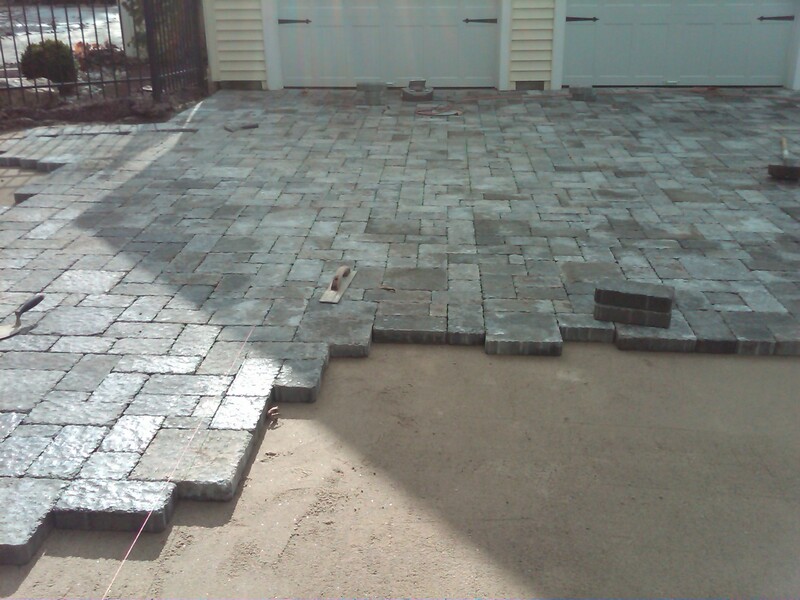 “Some pavers are simply better than others in certain scenarios”. a great example is larger patterned pavers for continuous vehicular traffic. Another consideration is a smoother finsihed top for patios where tables and chair legs might set. This entry was posted in Featured Projects, landscape architect, landscape architecture, Landscape Design, landscape designer, Landscaping, Masonry, patios, Paver driveway, pavers, Preferred Properties Landscaping, Preferred Properties Landscaping and MAsonry, Tecco bloc pavers, Uncategorized and tagged Paver driveway, paver installation, Paver patio, pavers, Preferred Properties Landscaping and MAsonry. Bookmark the permalink.